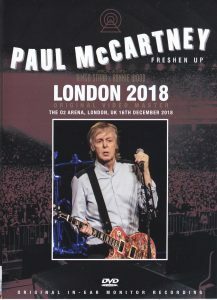 The end of the audience / live video edition from the UK tour at the end of last year is, of course, the O2 arena in London. Anyway, it is a day when a big surprise occurred at the encore, but since the live show was held it was also the final day of the tour in 2018 and a performance attracted attention from maniacs all over the world. It seems that securing the position was extremely difficult because of that. 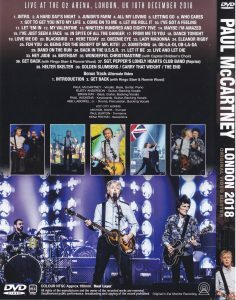 As you can see if you saw the gift DVD-R “LONDON 2018 ORIGINAL VIDEO MASTER” that was the basis for the images released this time, the picture of the most brilliant angle in “2018 British trilogy”. This time simultaneous release Glasgow was taken from the arena, but like the starting Liverpool, this is taken from the stand. 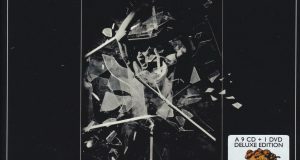 Even if the video condition is compared with Liverpool, the angle of Hijiku stands out throughout, and from that point it can be said that the photographer would have had trouble securing the position. However, the good part of this image is extremely clear in image quality, yet it is nearly in front and it is the angle of Hijiki, so if you are watching yourself as the final day of the 2018 fresh-up tour from the O2 Arena stand It will taste realistic realistic like that. Besides, the British trilogy has a sense of stability in the video that is out of the group. Although it may be a benefit unique to shooting from the stand, there is absolutely nothing to be blocked by the audience throughout the live. Certainly this time Glasgow and that bilateral close-up can not be hoped for, but it is also exceptional to be able to see the stress without stress from the opening of the live to the ending. On the contrary, the audience shot where close-up works is inevitable because angles tend to be biased towards Paul, but rather than the overlooking of the whole stage of the stage, it is rather fresh to see the stage production etc. which is often overlooked. For example, during the performance of “I’ve Got a Feeling”, such as the representation that a lot of speakers are displayed on the stage screen. Especially in the first half of the live it will be stolen from the production of the whole stage. And from the part of the acoustic song, the frequency of close-ups can also be raised for more enjoyment. 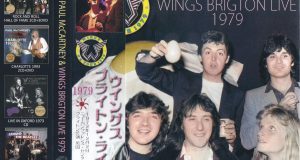 As a matter of course, although it is Paul, it is fresh to see what the band members usually tend to be out of the screen can be seen. Among them, Wix who blows harmonica with “From Me To You” is showing a pretty awkward movement in the place where there is no turn. Before starting this song Paul’s appearance that explains using the epochal “Gm” code as a pop song at the time was also funny. However speaking of anything speaking of London it is a surprise at encore. Although it was the opening of “Wonderful Christmastime”, this time I asked for a chorus to Capital · Children · Choir. It seems to me that the stage on the stage is filled with kids’ kiree firmly with the composition unique to this angle, it is spectacular anymore. 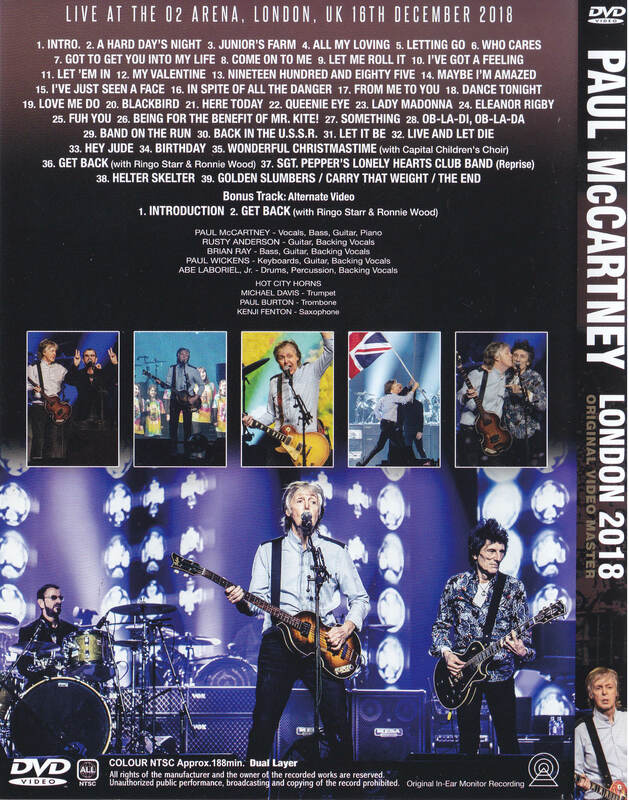 As a matter of course, in synchronizing the upgrade to the limited press DVD of this time, the sound is synchronized with the stereo / earphone sound source of “LONDON 2018”, and the lively chorus team will feel more realistically. 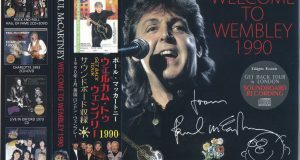 Since the original image sound of the gift DVD – R was a recording lacking in thickness and a sound image far, this is already the difference of muddy. And “Get Back” from apple and Ronnie Wood appearance which maniacs around the world celebrated, but in the image which can look like the whole in this way, it is well understood that the apple drum kit was specially installed on the stage , It is as interesting as it is a position like an isolated island on the stage. And this release includes bonus as YouTube videos that pleased maniacs by catching this surprise scene with a more close angle at the bonus. Certainly angles are nearly dramatic, but the freshness of the video itself is clearly above the main video this time. 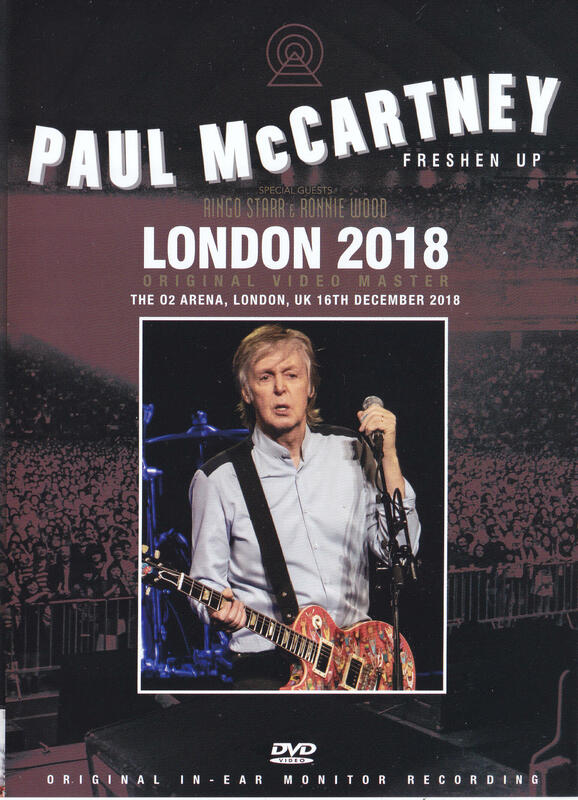 Therefore it is a press DVD release similar to the other two performances, please enjoy the document which reproduces O2 arena which finished the last of the last year tour from both visual and sound thoroughly the document!